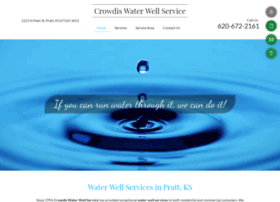 Crowdis Water Well Service in Pratt, Kansas can assist you with any water well needs you may have. Call 620-672-2161 today to learn more. Hosting company: SoftLayer Technologies Inc.